Hooray! This beautiful girl has been matched with a family that is working hard to bring her home Forever. Congratulations to her and her new Forever Family from all of us at GWCA! As her file is considered LID, the family that is matched with her had to have their dossier logged in before they could learn more about her! Our LID track provides families with the opportunity to be matched with younger kiddos with more minor or correctable needs. Learn more about the difference between LID and Special Focus below! If you’re interested in learning how you can join our LID track and start your journey towards being matched, contact our matching specialists today! Non-Special Focus kids are often referred to as LID, meaning “Log In Date.” While families can be matched with a Special Focus child at any point in the process, they must log their dossier in prior to reviewing files for LID children. These kids are typically age 1-4, and have more minor or correctable needs. 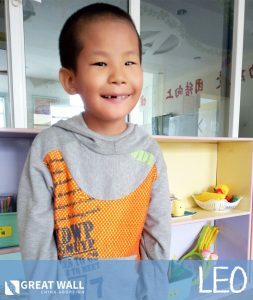 For families that are open to a Waiting Child with minor or correctable needs, the LID track is a great alternative to other international adoption programs where the referral time for a healthy child can be several years. Contact our Matching Specialists to learn how you can get started on the LID track today! 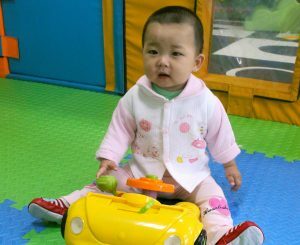 Most of the children in China’s Waiting Child program, are classified as Special Focus. This means that they are considered more difficult to place either because of their age range, or needs. While the idea of special needs can be a bit overwhelming to families, it is important to realize that many needs fall on a spectrum. This means that two children whose files indicate the same need can be affected in completely different ways. One example of this is cerebral palsy. While some of the children that we have seen with cerebral palsy are wheelchair bound, others are able to run, jump, and climb just like any other kid. As such, it is very important for families to thoroughly research a variety of special needs before ruling anything out!